This gaiwan is a good choice for tea lovers who are fond of Chinese Calligraphy as its special furnace transmutation and hand-painted pattern characteristics. 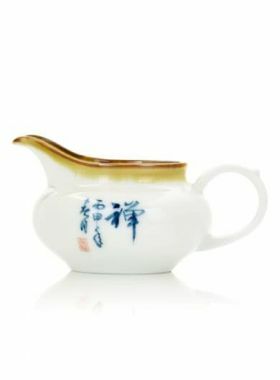 The style of this handwritten calligraphy porcelain Gaiwan is outstanding. 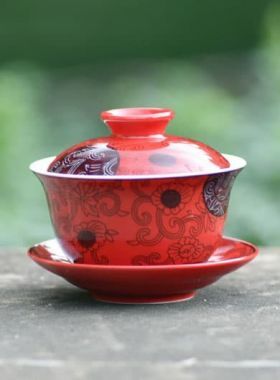 The button of the lid, the lip of the bowl and the saucer are all used the craft of furnace transmutation, through this, the Gaiwan itself find an echo and looks natural harmony. 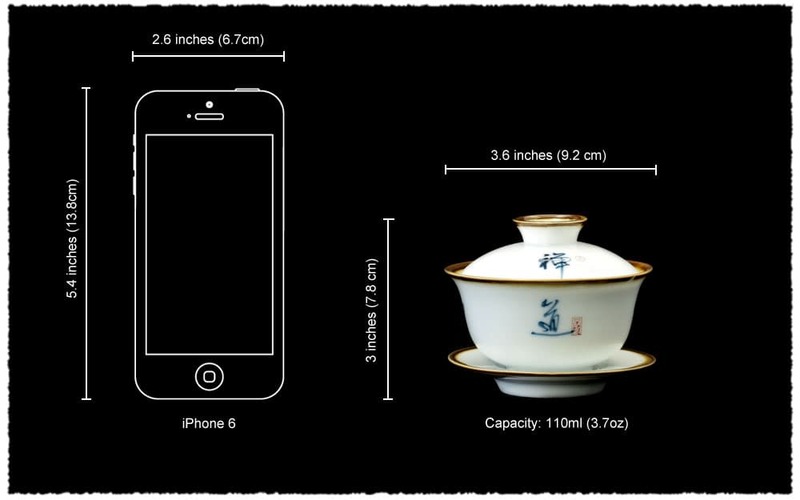 The four Chinese characters (“静”,“禅”,“悟”,“道”) at the body of the bowl play an important role as "icing on the cake", which not only break the monotony of the pure white, but also increase high appreciation and collection value..
Of course, no matter how delicate, the Gaiwan is used to brewing tea. When brewing tea, using the index finger to touch the small indentation at the button of the lid, thus the lid is more stable to avoid sliding. 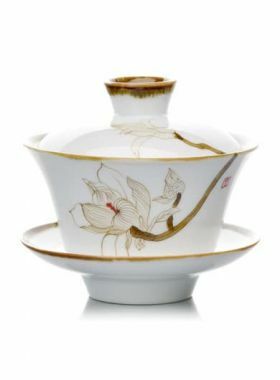 The inside of the Gaiwan is white porcelain, which makes it more convenient to see the concentration of tea liquid and enjoy the shape of tea leaves.